Former Motherwell goalkeeper Darren Randolph will be starring at the European Championships, which start in France on Friday. Randolph (29), who served ’Well between 2010 and 2013, is Ireland’s number one at the tournament in which Ireland are outsiders in a Group E section which also includes Belgium, Italy and Sweden. Ireland, Northern Ireland, England and Wales all qualified for the month-long showpiece, which makes it all the more galling that Scotland failed to make it. 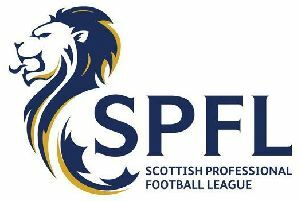 Even though our national side is not there, our league’s clubs have exported several players for a summer soujourn, like Kilmarnock’s Josh Magennis, Premiership champion Mikeal Lustig plus Aberdeen’s Niall McGinn and St Johnstone keeper Allan Mannus. Then throw in other former SPL players like Roy Carroll, John Guidetti, Steven Davis and Joe Ledley. There’s also ex-Aberdeen loanee Danny Ward in the Republic’s 23-man squad. Former Rangers winger Vladimir Weiss made the cut for Slovakia, ahead of hooking up with the Scottish national team in the World Cup qualifying group this autumn. So even while Scottish fans are on the outside looking in, there are Scottish connections – spurious or otherwise. We’re also sending Willie Collum to officiate. And the links extend to the management and coaches.Martin O’Neill and Roy Keane in the Irish dugout obviously have their Celtic background. Northern Ireland boss Michael O’Neill has strong links to Scotland – bossing Brechin and assisting Mixu Paatelainen at Cowdenbeath after a playing career which included spells at Dundee United and Hibs. Alongside him will be Jimmy Nicholl – a former Rangers player and the winner of the Coca-Cola Cup with Raith Rovers in 1994. There is however, a natural Scot attending the finals as a competitor – Austin McPhee, a scout and analyst for Mexico in the 2014 World Cup in Brazil. After working with Danny Lennon at Cowdenbeath and St Mirren, Austin became Northern Ireland assistant to O’Neill.